Heart: A Legendary Rock Band Looks Ahead Heart, led by Ann and Nancy Wilson, has survived more than three decades of music and fashion, selling 30 million albums in the process. The group is back with a new record called Red Velvet Car. Here, the Wilsons assess their career and music with Weekend Edition Saturday host Scott Simon. 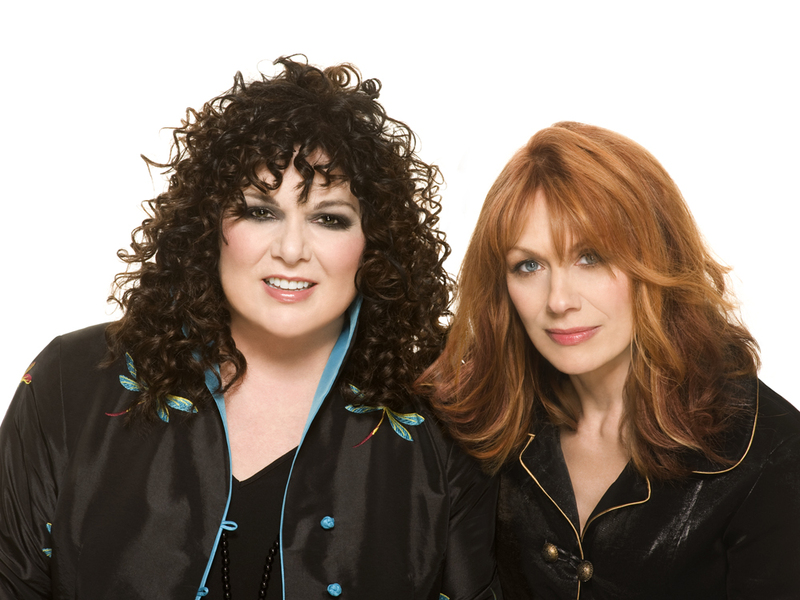 Heart, led by Ann and Nancy Wilson, has survived more than three decades of music and fashion. Heart, led by Ann and Nancy Wilson, has survived more than three decades of music and fashion, selling 30 million albums in the process. The band's hits -- including "Magic Man," "Barracuda" and "These Dreams" -- remain staples on classic-rock radio, but Heart is still going strong. It's back with a new album called Red Velvet Car, which the Wilsons discuss in a recent interview with Weekend Edition Saturday host Scott Simon. For women in the '70s, the world of rock 'n' roll was tough to crack. "It was darn nigh impossible for women in rock in the '70s," Ann Wilson says. "There wasn't a mold if you were a woman and you were in the entertainment in the '70s. You were probably a disco diva or a folk singer, or simply ornamental. Radio would play only one woman per hour." But Heart persisted and built a career based on bold, powerful rock music. The song "WTF," from the new album, carries on in that spirit. "The recurring motif in that song is, 'The hardest thing you'll ever learn / is what bridge to cross and what bridge to burn.' It was culled right out of some writings that our mom left behind in her journals," Nancy Wilson says. "I kept that in my pocket until it was ready to come into a rock song. It's very interesting that she speaks through us still, even though she's not around, and in such a strong way." "Red Velvet Car" is a song about friendship. "It's about incredibly deep sacrifices that a true friend will make for you," Ann Wilson says. "The red velvet car in the song is the comfortable, safe environment that your friend will invite you to when you're totally in need." It's a type of friendship to which both sisters say they can relate. "I think our friendship may even trump our sisterhood," Ann Wilson says. Her sister agrees: "We would have found each other as artists either way."